Torrent + Direct - Eset Nod32 Antivirus / Internet Security 11.0.159.0 (x86/x64) Final Retail +activator+serials | Team OS : Your Only Destination To Custom OS !! 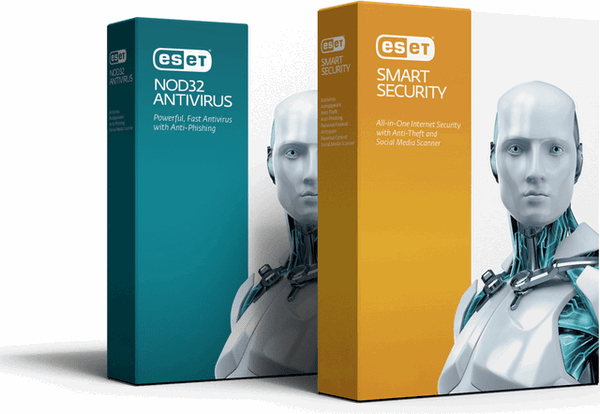 Stay safe from online threats: Using unique technology product ESET NOD32 Antivirus eliminates all types of threats, such as viruses, rootkits, worms and spyware. Using cloud technology during scanning further increases the level of protection provides high scanning speed and stable operation of Your computer. Home network protection: protect your computer from incoming network threats. Protection webcam: monitoring processes and applications that access connected to the computer the camera. Protection against attacks based on scenarios: proactive protection against dynamic attacks based on scripts, and unusual attack vectors. High performance and low impact on system: version 10 provides protection against new types of threats and make the best use of system resources, allowing you to enjoy the performance of your computer. Compatibility with Windows 10: ESET fully supports Microsoft Windows 10. @hacker7 The title is "
"Eset Nod32 Antivirus / Smart Security 11.0.154.0 (x86/x64) Final Retail +activator+serials" But i checked torrent files. there are 8 files. But i can see only ESET Nod32 Antivirus and ESET Nod 32 Internet Security only. Where is the ESET Smart Security... Can u please help me to find out it.. There is no Eset Smart Security for version 11. Eset Smart Security has been replaced by Eset Internet Security. @AWSOMID It's true ! Since the begining of the 11 version smart is replaced with internet security nut it's the same , only name exchange. @rajeeshap thanks for the clarification. this torrent would take sometime to seed so ya all know! Looks interesting. If someone got it already, please share. 0 seeders atm.